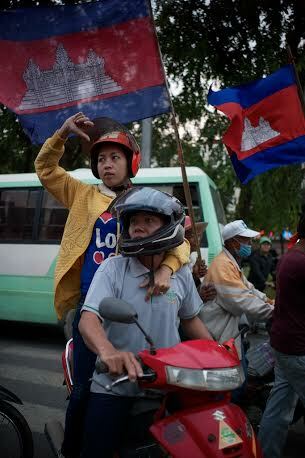 Workers protest in front of the council of Ministers “the Peace Palace” of Mr. Hun Sen. But where is Mr. Hun Sen? His silence is unacceptable . Can one imagine President Obama not address the nation in crisis? 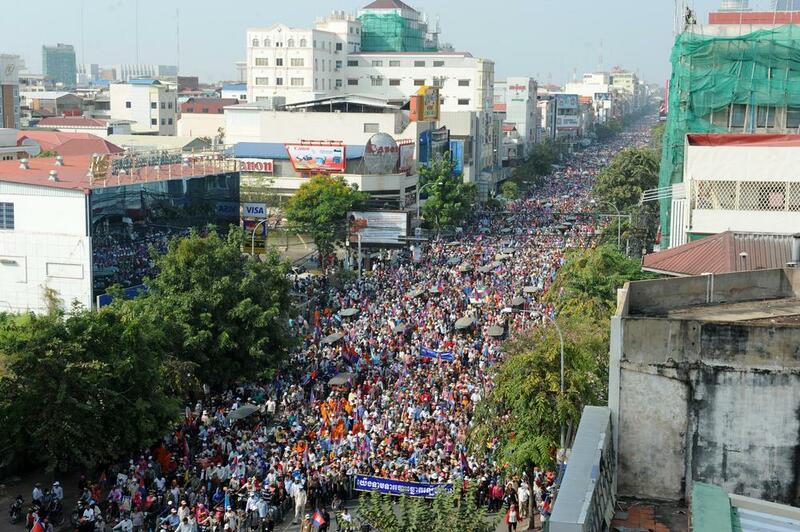 The Cambodia National Rescue Party rally on December 29th was as big as predicted. 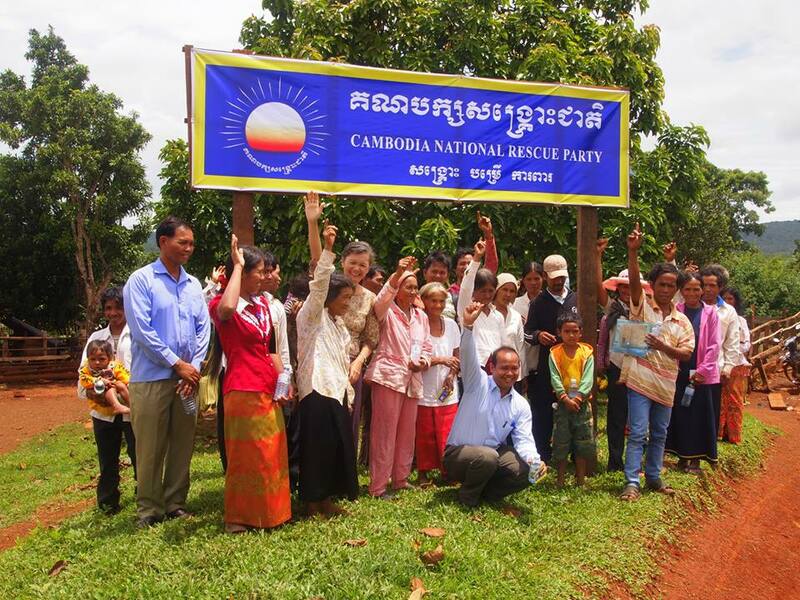 The new force from the more than 300,000 workers on strike has increased the critical mass for the CNRP to show its force. Yesterday’s procession challenge the govt. By changing its course to the Russian Blvd. and moving towards the Council of Ministers, the message is : We have the force of the people and we can occupy beyond Freedom Park. 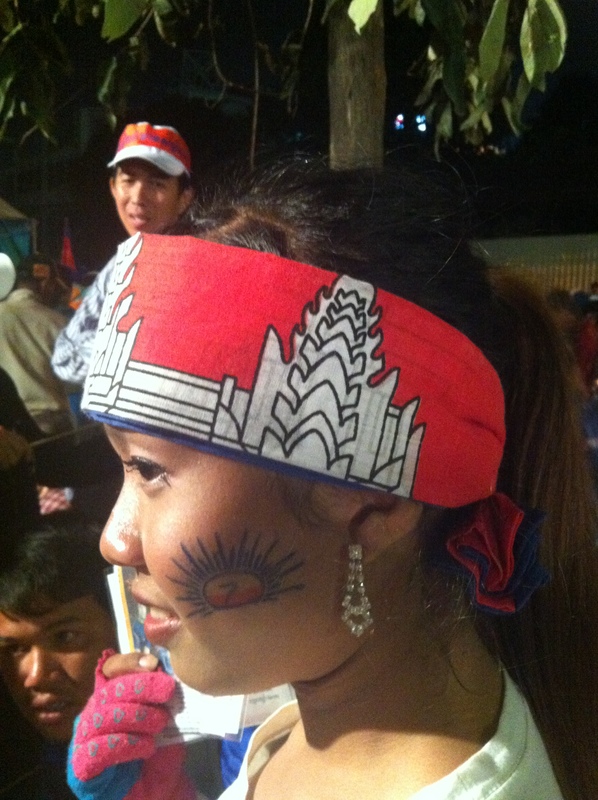 A young supporter with the CNRP logo-at Freedom Park-29Dec. 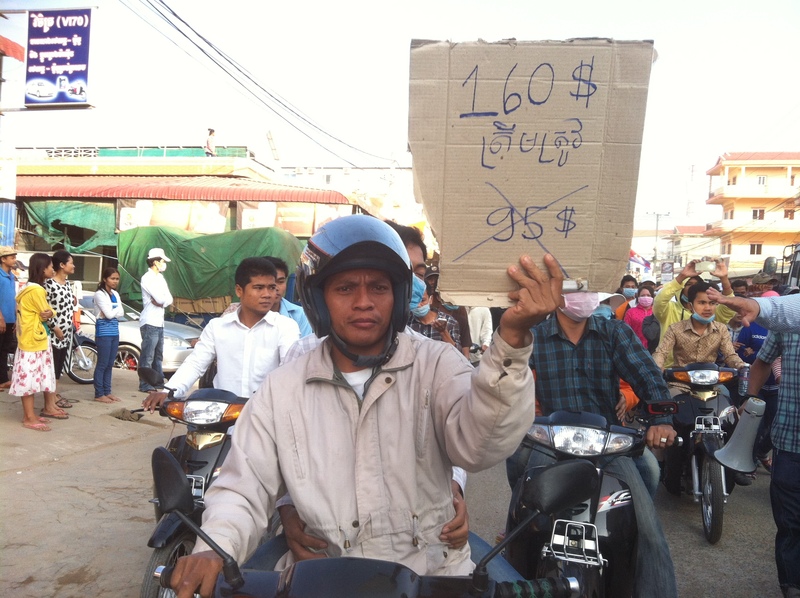 [caption id="attachment_4054" align="aligncenter" width="500"] Striking workers with their demand-26Dec. 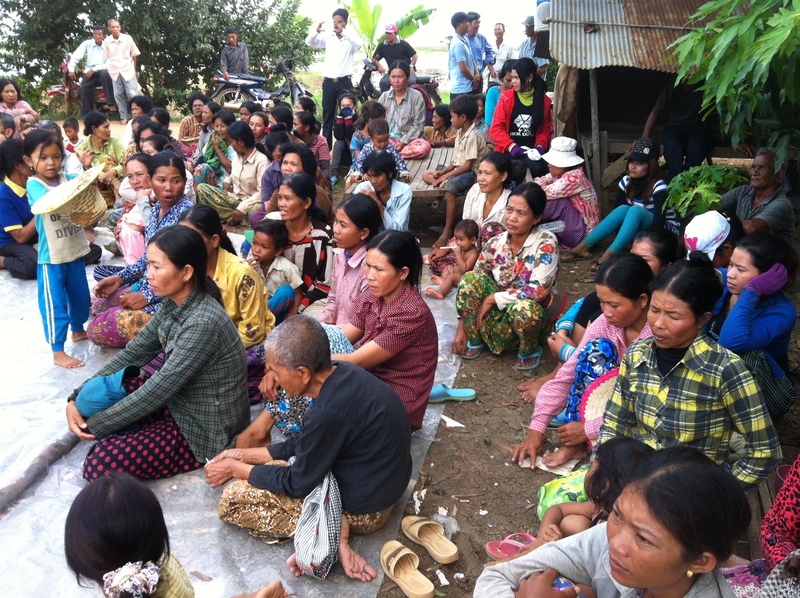 The CNRP non-stop protest that started on 15 December is now gaining a critical force with the endorsement of hundreds of thousands of workers that have moved towards a general strike for US$160 minimum wage. This Sunday 29Dec. will be another monumental street protest that will put the city to a real stand still. 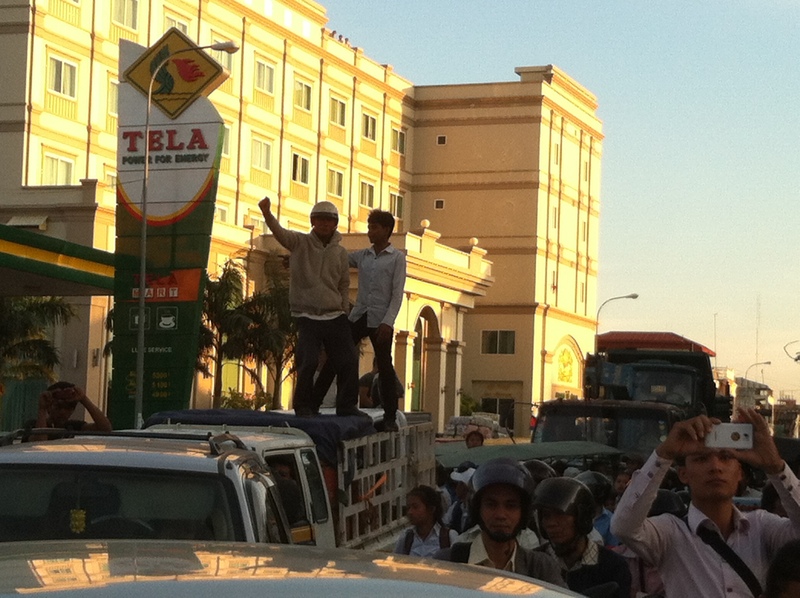 Workers blocked the Labor Ministry and the road leading to Phnom Penh International Airport yesterday and will continue on Monday when govt. officials meet union leaders again. Pdho! 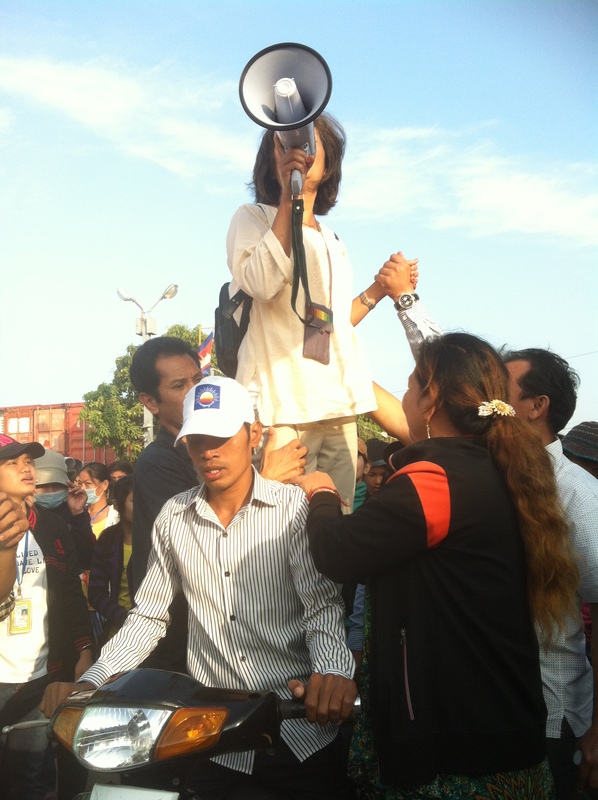 Hun Sen Must Go! 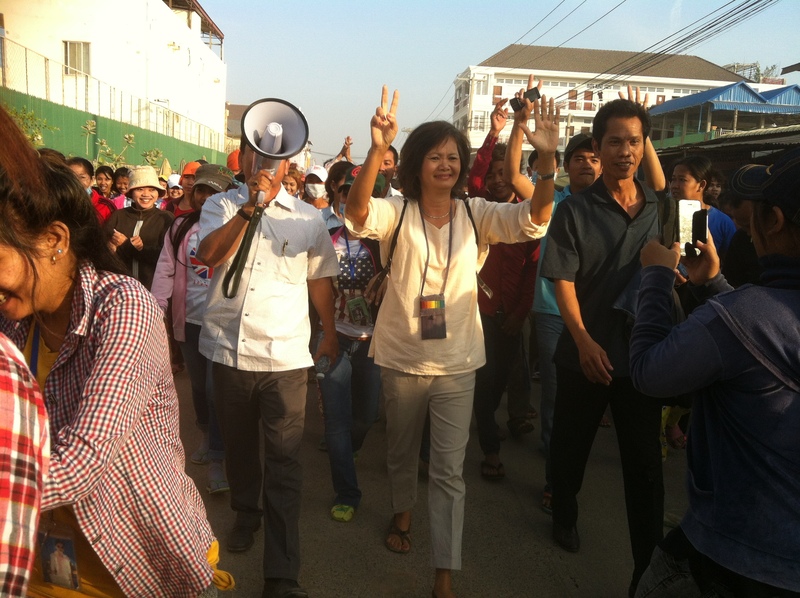 Now it is Hun Sen Must Go. Freedom Park is growing each day.